Roller Shutter Doors, When You Want Flood Protection For Your Building! 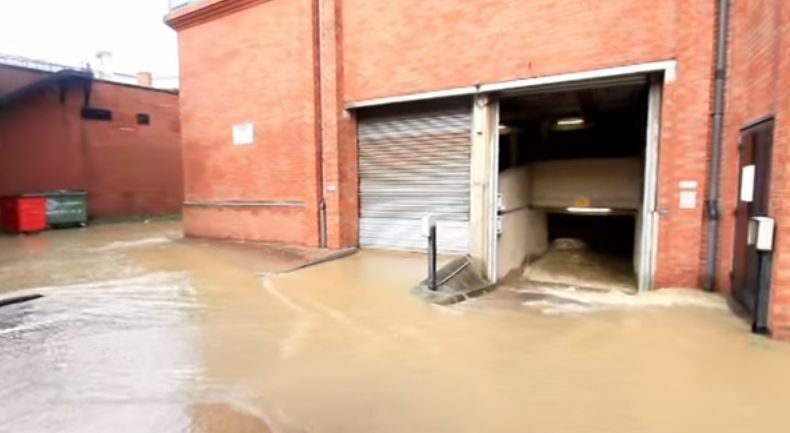 Roller shutter doors are notorious for leaking and allow large quanties of water to access any building when flooding occurs, this is because of the way they are constructed to do what they do rollup. Many business’s have been affected in a major way because their roller shutter doors are not flood proof, however Floodguard UK Ltd have developed a unique conversion for any size door to ensure that your business can still be operational very quickly after the flooding has gone,24/7 automatic flood protection without the need to erect manual flood barriers, assuring you of greater protection for your building, now being flood protected. Combined With Our Automatic Door Sealing System This Makes A Great Team Providing You With True 24/7 Automatic Protection! Book Your Free Survey Now, Call Us Or Click On Image below!